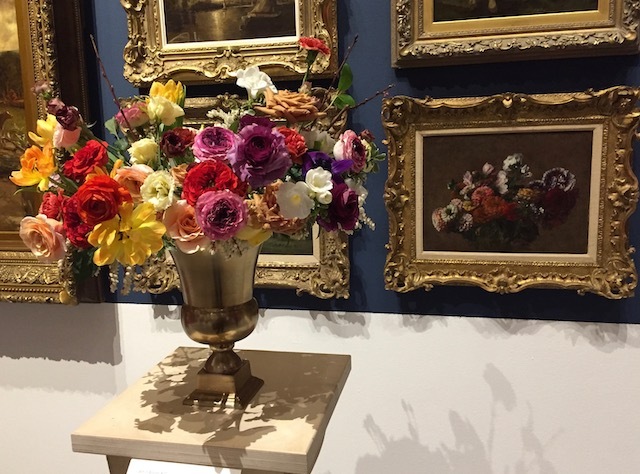 winnipeg art gallery | What Next? 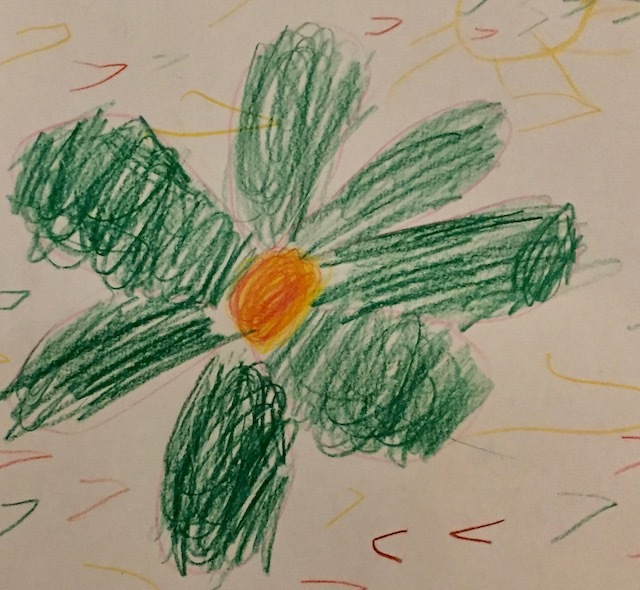 During the holidays the Winnipeg Art Gallery ran one day camp experiences for children. 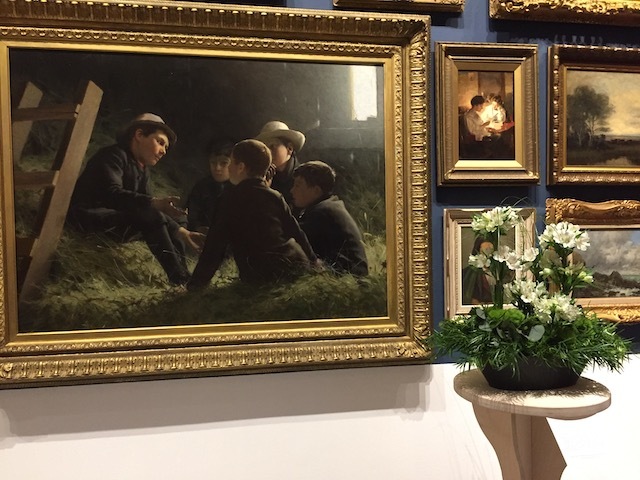 I was lucky enough to be in charge of giving the kids tours of the galleries on a couple of days. Oh what fun! 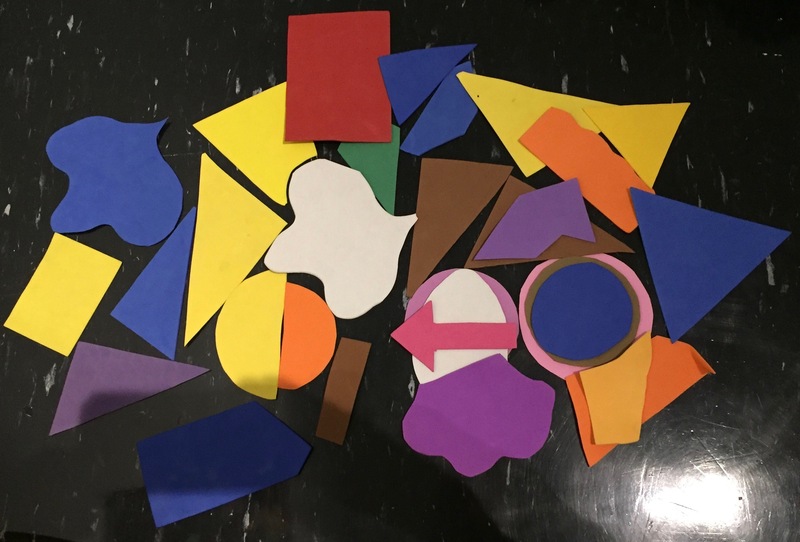 Inspired by the work of Takashi Iwasaki in The Behind Closed Doors exhibit we made our own abstract creations out of felt shapes. 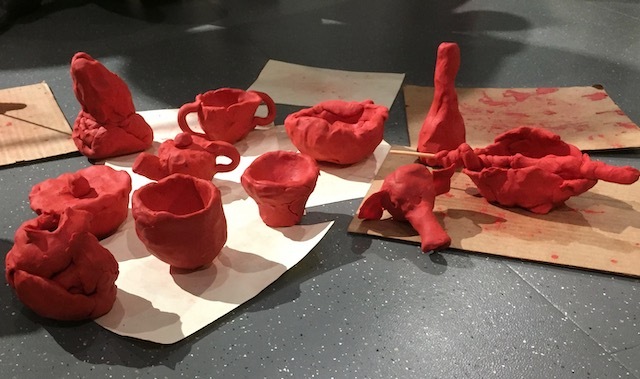 Inspired by the elegant pottery of Robert Archambeau we made some pottery of our own. 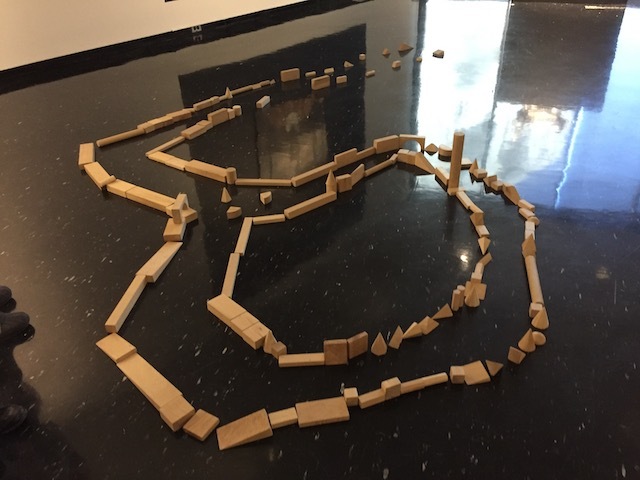 Inspired by Robert Taite’s installation the children created a maze like piece of art with wooden blocks and then walked through it. 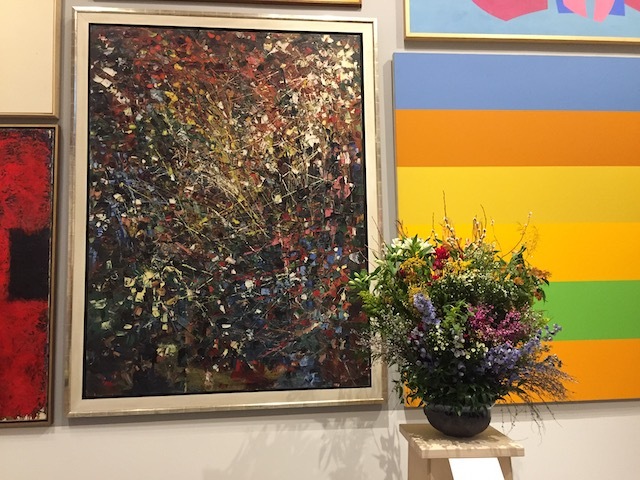 Inspired by works from the Group of Seven hanging on the wall in the Salon exhibit we looked carefully at lots of works by the Group of Seven and tried to organize them into seasonal categories. Inspired by the beautiful prints of Newfoundland mummers by David Blackwood we played a hide and seek kind of game by dressing up as mummers ourselves. Inspired by a Robert Houle installation in the 80s Image exhibit the children organized names of First Nations alphabetically and we talked about some of the unique characteristics of the various groups. Inspired by a painting done by Homer Watson we created a storm of our own using musical instruments. 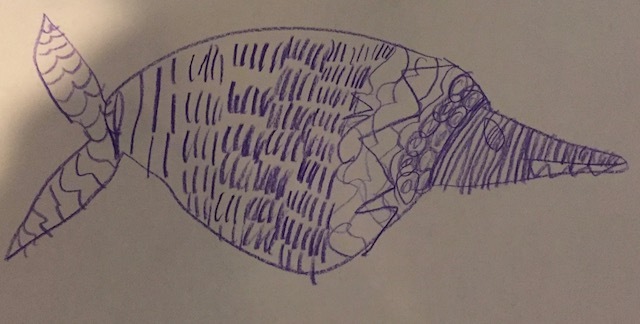 Inspired by the beautiful wall hangings of Marion Tuu’luq the children drew images of their own. 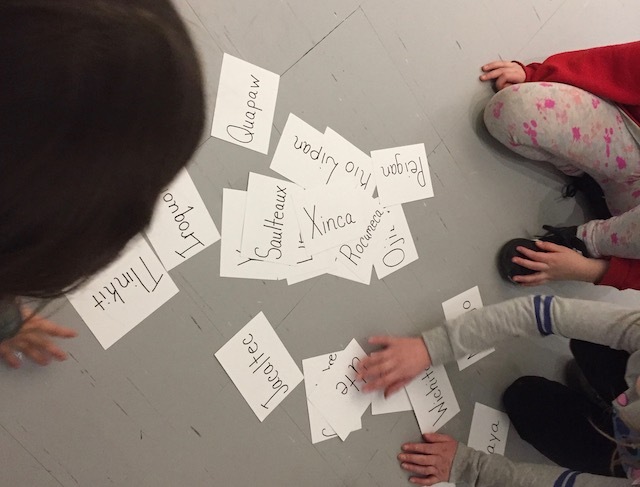 Oh what fun we had with children at the Winnipeg Art Gallery during the holiday season! 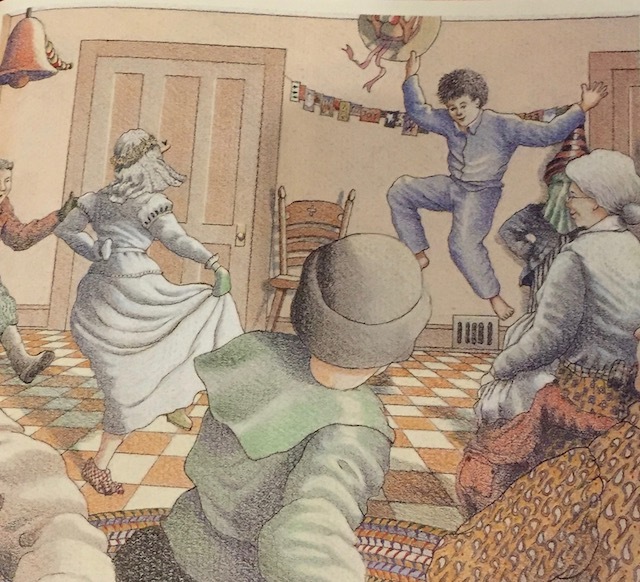 I learned about mummering from this children’s book which I shared with my class every year when I was an elementary school teacher. It told the story of Newfoundland folks dressing up in disguise during the Christmas holidays and going to the homes of friends and family. Once the identity of the costumed guests had been ascertained they were invited to stay a while to sing and dance and eat and visit. The mummers disguised themselves with what was on hand at home, often stuffing their pants with pillows, wearing big hats and putting lace curtains or table cloths over their faces. 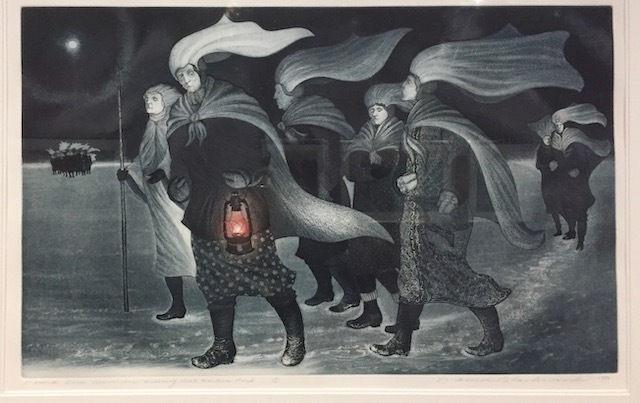 A new exhibit at the Winnipeg Art Gallery featuring Newfoundland artist David Blackwood includes several beautiful prints of mummers. Mummering is thought to be an ancient tradition from England or Ireland. In the late 1800s it was actually banned and made illegal in Newfoundland because of the drunkenness and violence that was often associated with the custom. 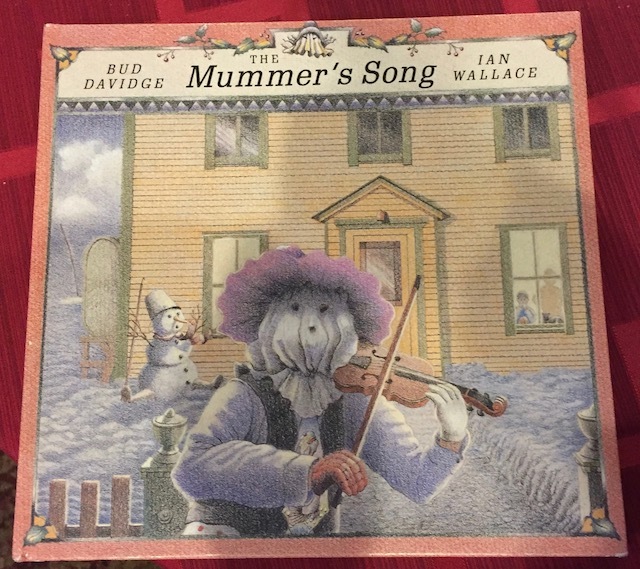 In the 1980s mummering started making a comeback when two Newfoundland singers Bud Davidge and Sim Savory recorded a song about mummering that became popular. 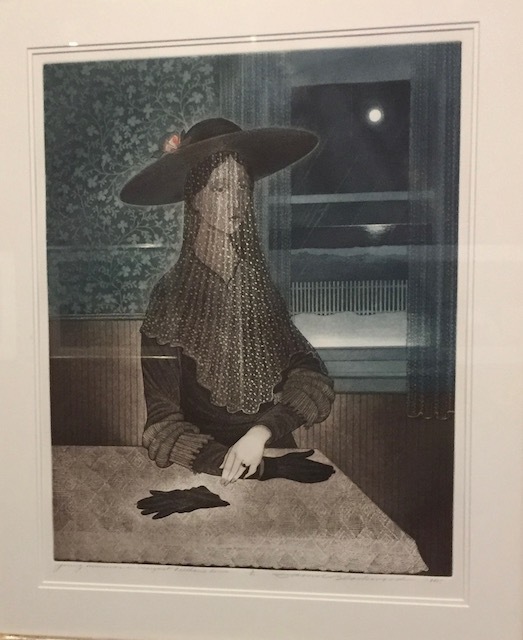 Perhaps David Blackwoods’ etchings of mummers created in the 1980s also helped to revive the custom. In 2009 the city of St. John’s began an annual December Mummers Parade that still draws hundreds of costumed Newfoundlanders into the streets for a celebration. 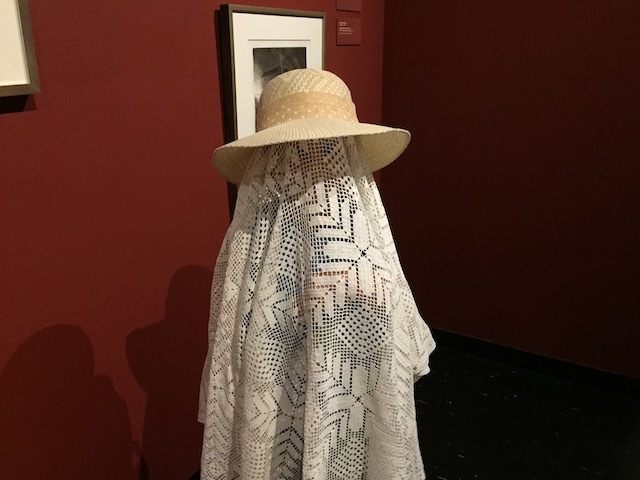 In an article called At Home and Away Dr. Diane Tye a professor in the Department of Folklore at Memorial University in St. John’s Newfoundland remarks on the haunting quality in David Blackwood’s mummer prints. His mummers look a bit like ghosts behind lace veils. In a 2003 interview David Blackwood recalls going mummering himself when he was only five and at that age the disguised faces of the people around him did seem eerie and mysterious, particularly in the moonlight. He says that mummers sometimes apologized for wrongs they had done when they visited or they might even deliver a marriage proposal. 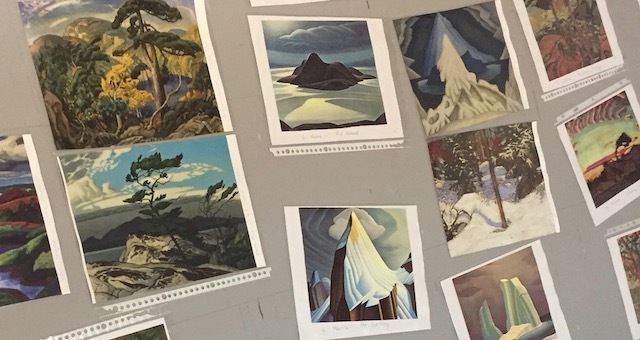 Dr. Tye says you can feel the cold of the Newfoundland winter nights in Blackwood’s prints. In many the mummers are solitary figures and if they are with others there appears to be no communication between them. Blackwood’s mummers are dark and mysterious. Mummering has become synonymous with Newfoundland as a fun folksy custom that attracts tourists and sells related souvenirs. 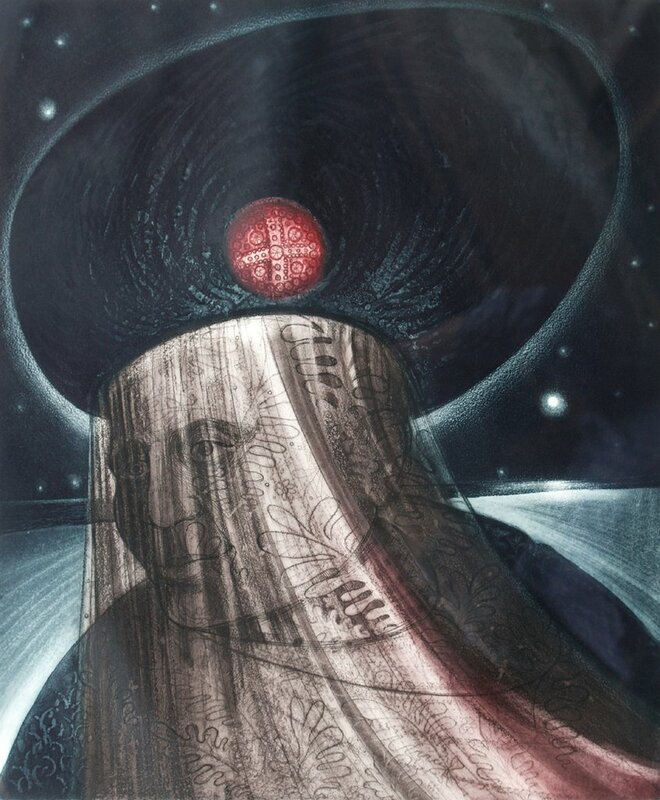 David Blackwood’s prints offer us a slightly different view. 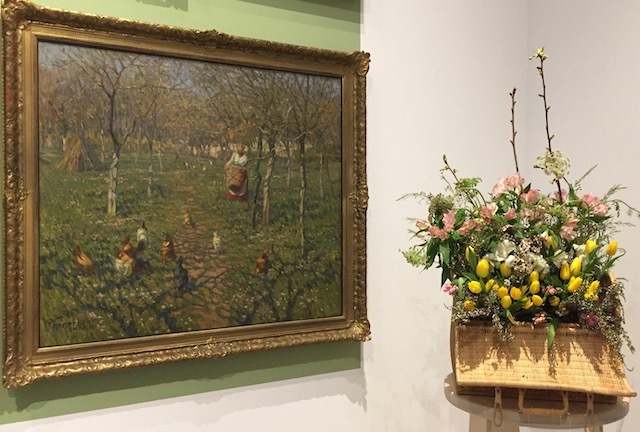 Check his mummers out for yourself at the Winnipeg Art Gallery this holiday season. Her mother passed away before Marion was a year old. Her father committed suicide when she was ten. Her first husband died mysteriously. Marion had sixteen children but only four survived. 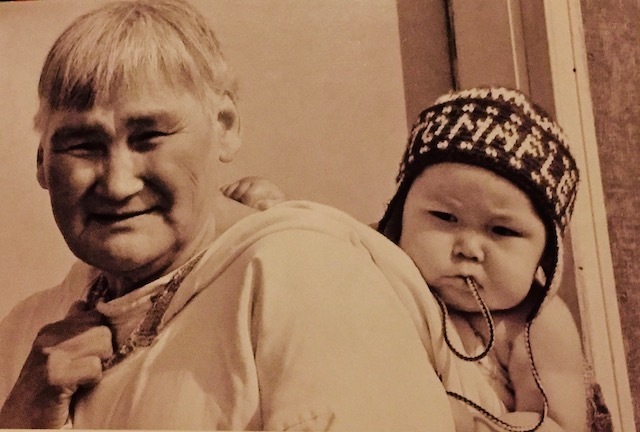 Until Marion Tuu’luq was in her early 50s she lived a nomadic life in the harsh landscape of the Back River area of Nunavut. Food was often scarce, modern medical care was not available and the natural environment was filled with inherent dangers. Hard to believe that a woman who survived all that would create something as joyful and lovely as the beautiful wall hanging above. 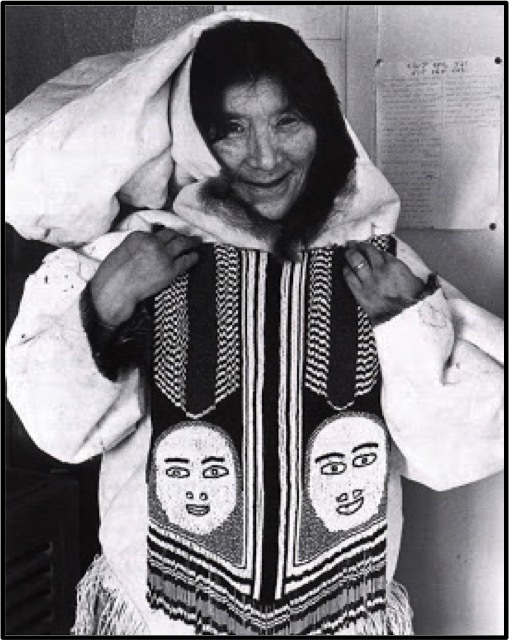 Marion moved to Baker Lake in 1961 with her second husband Luke Anguhadluq to have access to schools and medical care for their family and it was there in 1967 that Marion began to develop her artistic talents using some of the sewing skills she had learned as a child. 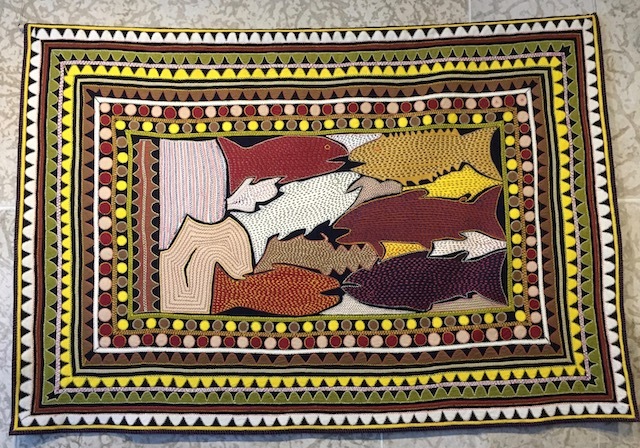 Marion began by creating traditional style clothing with embroidered designs and then with the encouragement of art advisors Jack and Sheila Butler began doing large-scale wall hangings. 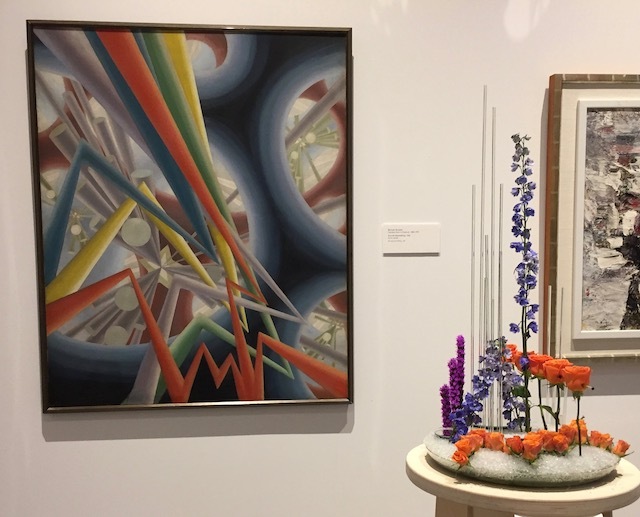 Often she planned these rich, colorful pieces ahead of time but according to an article by Marie Bouchard called American Woman Artists of the Twentieth Century at times she simply picked up her scissors and started cutting images developing a theme as she went along. 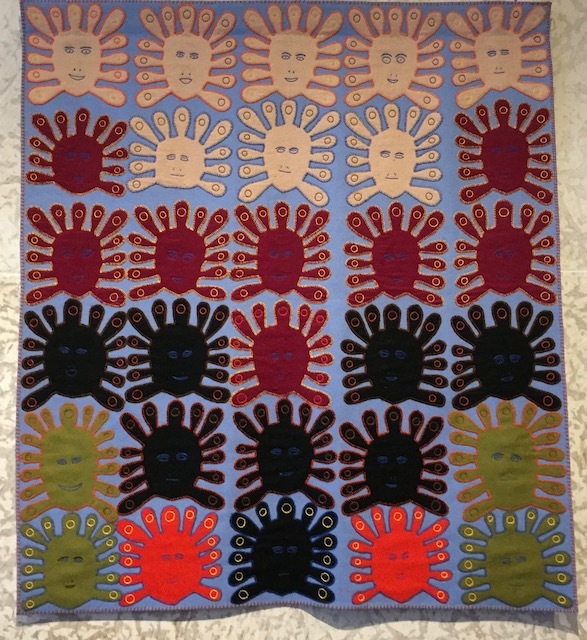 In 1974 the same year she made the wall hanging Thirty Faces above Marion’s work was included in an exhibit called Crafts From Arctic Canada in Ottawa and Toronto. After this Marion’s work received a great deal of attention. 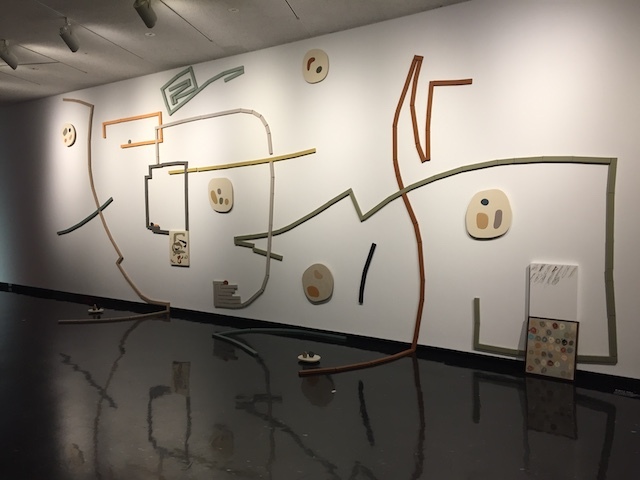 She became a member of the Royal Canadian Academy of Arts in 1978, and subsequently earned an honorary degree from the University of Alberta. 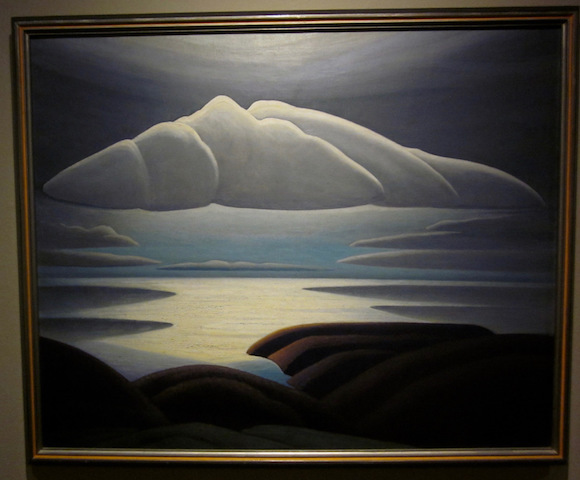 You will find her work in galleries across Canada as well as in the National Gallery in Ottawa. 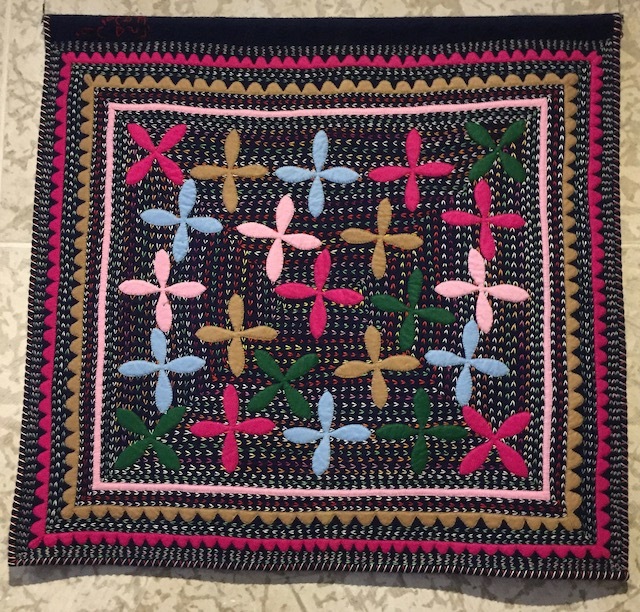 Sadly Marion developed an allergy to wool in 1989 and that ended her creation of richly textured and appealing wall hangings. Marion died in 2002 at age 92. 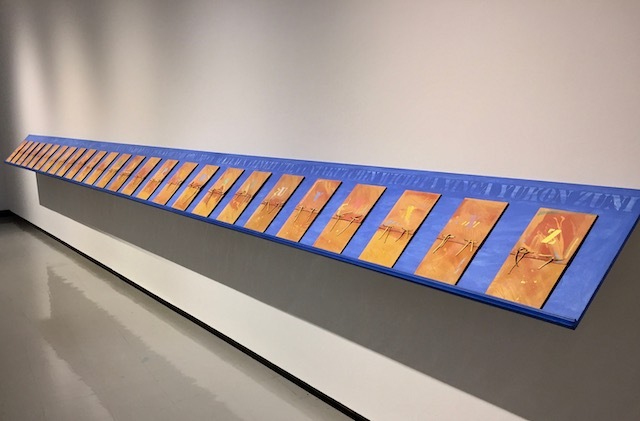 The three wall hangings included in this blog post are all currently on view at the Winnipeg Art Gallery as part of the exhibit called Nivinngajuliaat which means ‘wall hanging’ in Inuktitut. 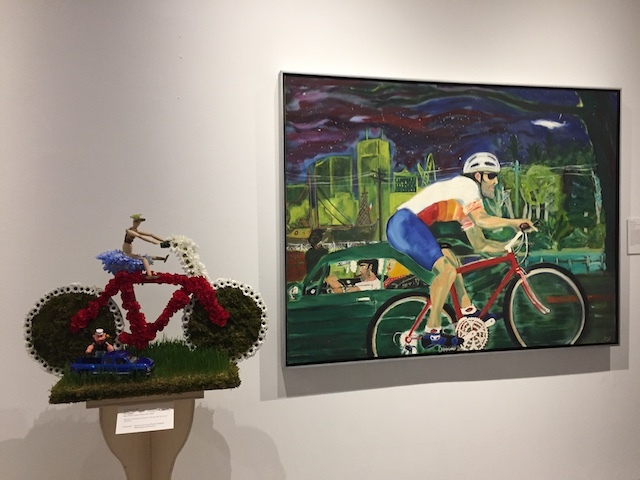 So you have a chance to see Marion’s work first hand along with other talented artists who created wall hangings in the Baker Lake community. 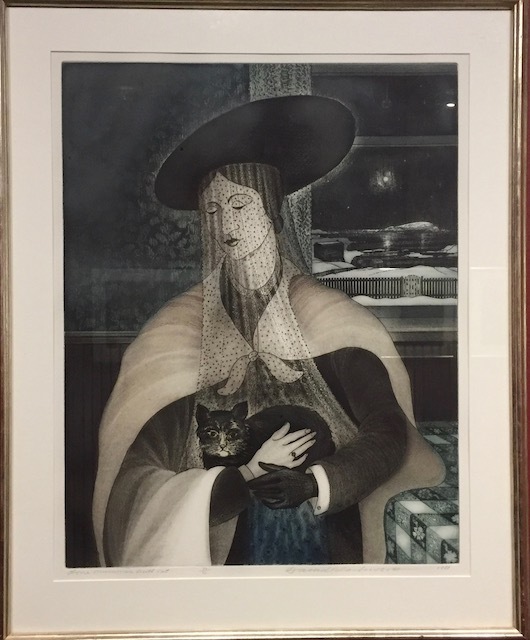 Marion was 57 years old when she started her artistic career and 64 when she really started to make a name for herself in the art world. Inspiring stuff for those of us in that age range who are still trying to discover and hone our various artistic talents. 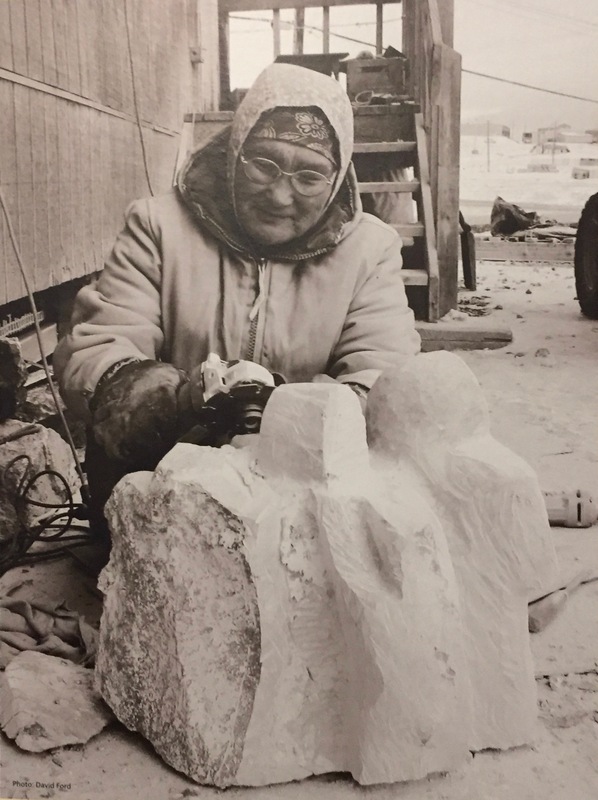 Those words are part of the haunting description artist Mary Yuusipik gives about what it was like in the 1950s to follow the caribou and set up winter camp in the isolated interior of the Back River area of Nunavut where Mary and her husband were raising their young family. Times were hard, food was scarce and there was always the worry about being diagnosed with tuberculosis and being sent away from your family. 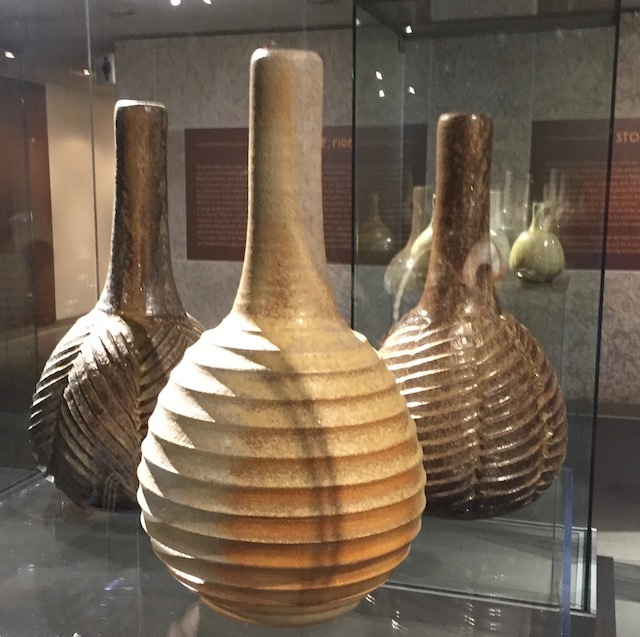 The Mary Yuusipik exhibit is currently on display at the Winnipeg Art Gallery. 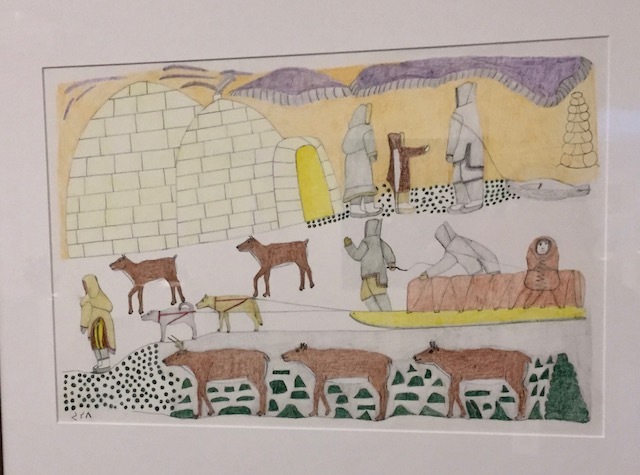 Not only is Mary’s artwork special but all the drawings are accompanied by personal stories Mary shared with the gallery’s Inuit art curator Darlene Wight. The show will run through the Christmas season. It’s a must see. I was preparing to give a tour of the Mary Yuusipik exhibit that just opened at the Winnipeg Art Gallery. 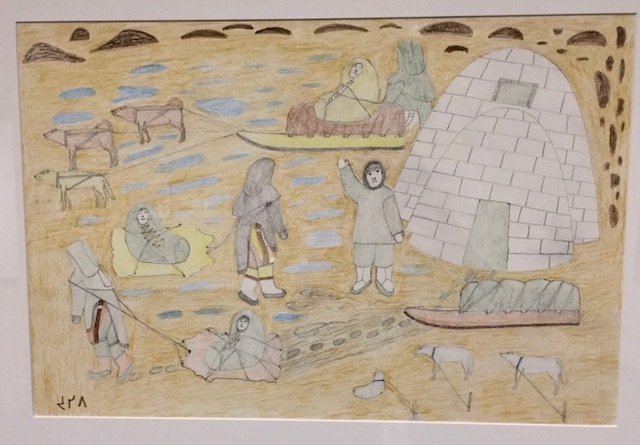 The exhibit includes twenty-six drawings that show what artist Mary Yuusipik’s life was like growing up in the 1940s and 1950s in the interior Back River area of Nunavut. 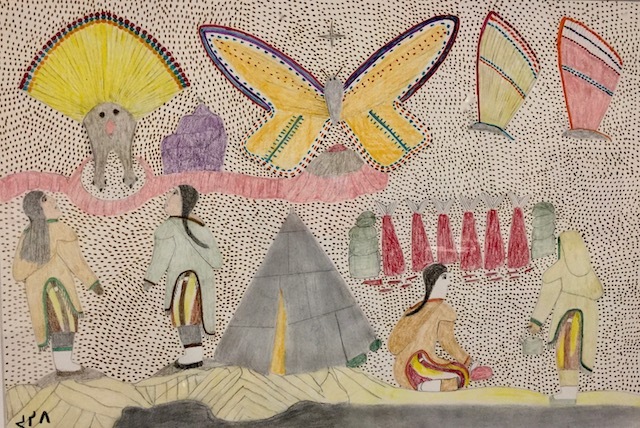 I was reading about each of Mary’s drawings and studying them and when I came to this one called Chasing Butterflies I said to myself, “Butterflies in Nunavut? 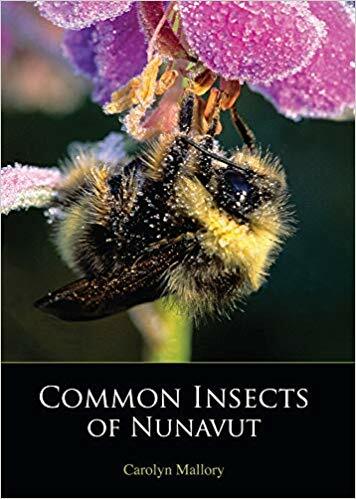 Wouldn’t it be way too cold for butterflies there?” Turns out according to this beautiful and interesting book by Carolyn Mallory The Common Insects of Nunavut there are eight kinds of butterflies and moths in Nunavut including the Brush Footed Butterfly, the Gossamer Winged Butterfly and the White and Sulphur Butterfly. Carolyn includes traditional stories she heard from people about the various insects in her book. 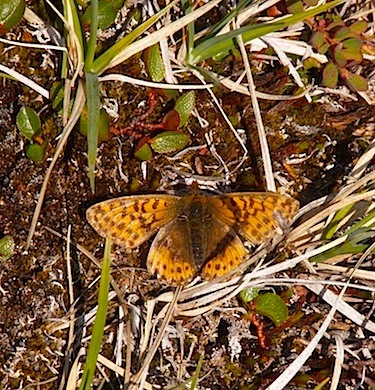 Several older women in Baker Lake told Carolyn that if you placed a butterfly on newborn girls they would grow up to make beautiful designs on the things they sewed. 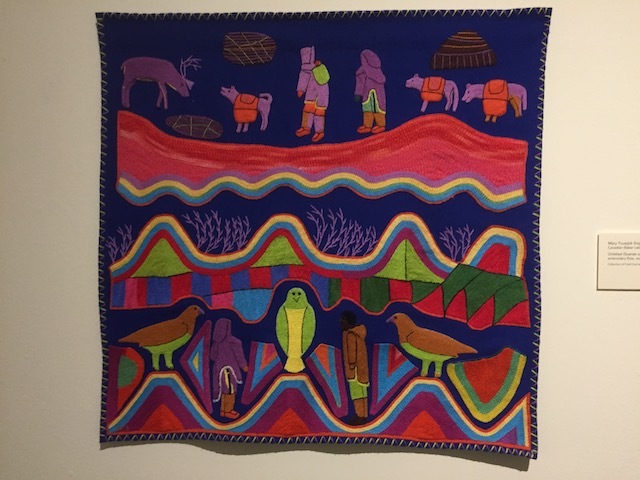 Looking at a gorgeous wall hanging like this one which is part of the current Mary Yuusipik exhibit one might speculate that Mary herself may have had a butterfly alight on her as a newborn. This painting was done in 1793 by artist Jacques-Louis David. It depicts the murder of Jean Paul Marat a leader of the French Revolution. The dead man is in the bathtub because he suffered from a terrible skin condition which was soothed by soaking in water. 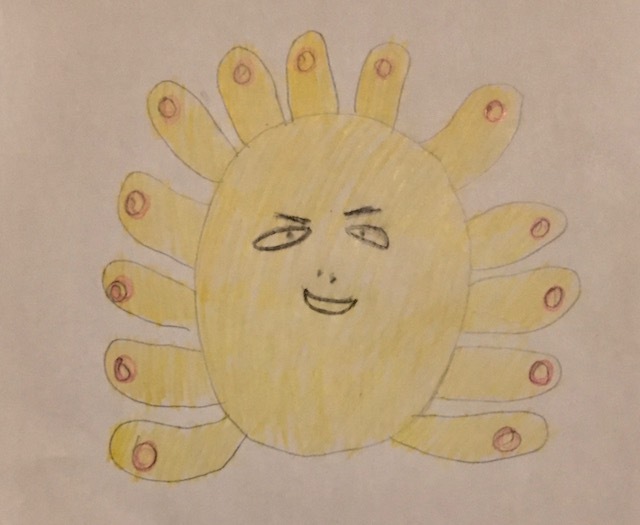 He is holding a letter in his hand. The last name of the artist David is inscribed on the wooden block. 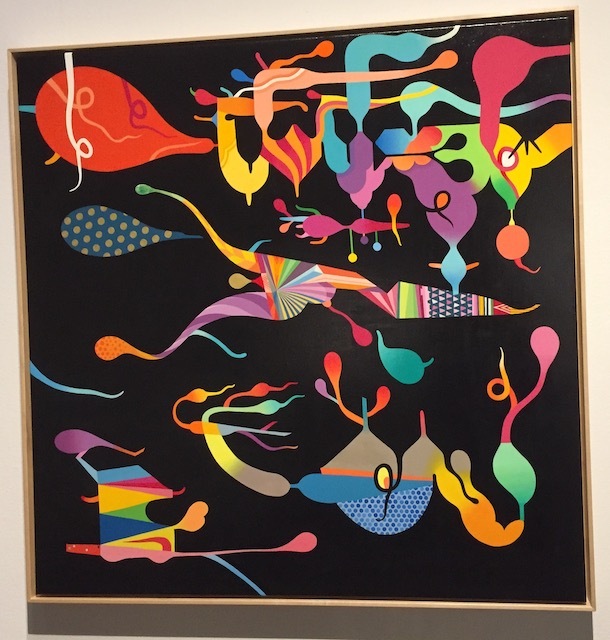 In this artwork part of the current The 80s Image exhibition at the Winnipeg Art Gallery the artist David Buchan who died of AIDS in 1993 has photographed himself. Notice the similarities between his work and that of Jacques Louis David above. 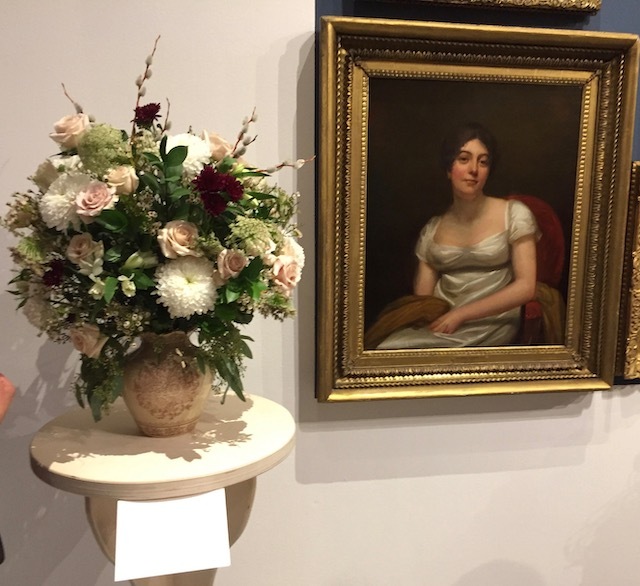 Both have the name of the artist on a block, one of wood the other of marble. Both men are dead. The one above was murdered. The one below committed suicide. Both men are in a tub. 90% of AIDS patients suffer from skin conditions as the revolutionary Marat did. The letter in Marat’s hand above has been replaced with bank statements in Buchan’s hand below- perhaps alluding to the high cost of medication to treat AIDS. Notice the dark humour of contrasting the word Halo which usually refers to something divine to the container of Halo shampoo. Do you notice how the letter O in the word Halo looks like a halo? 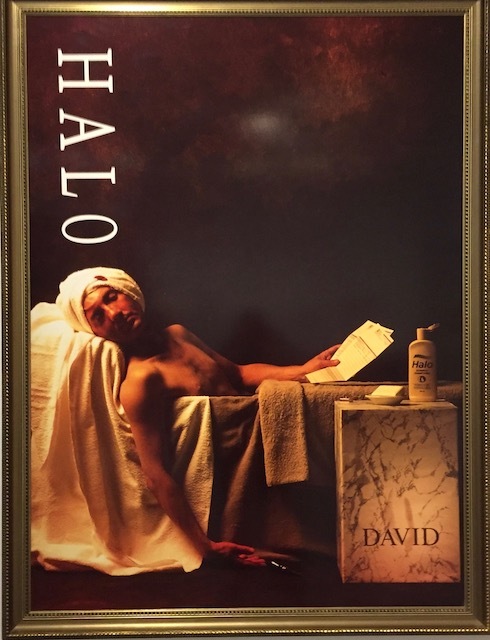 Halo is a fitting addition to The 80s Image exhibit because activism surrounding AIDS began in the 1980s with many different groups and organizations emerging to advocate for people with HIV in North America. They lobbied for treatment, prevention and raising awareness. 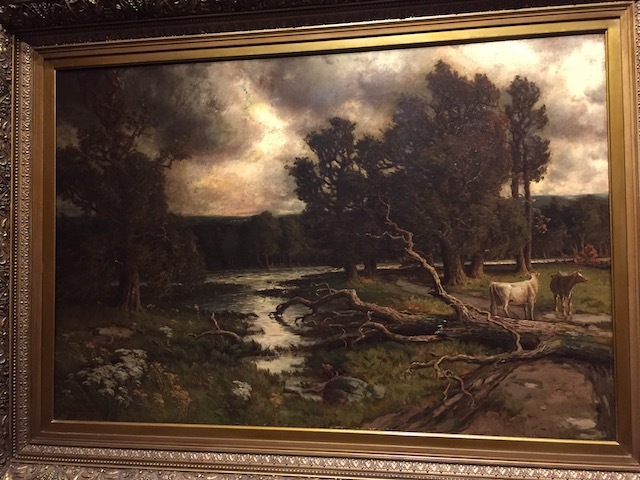 On November 13 at the Books and Brushes session at the WAG I’ll be looking at the connection between this painting and the book Tell The Wolves I’m Home. Why not join us? You can learn more here.